To determine the minimum output quantity which must be produced in order to avoid loss and it must be exceeded to make profit, the analysis is carried out called break even analysis. Factors affecting profit can be determined by using break even analysis. BEP presents the effect of change in volume on profit. 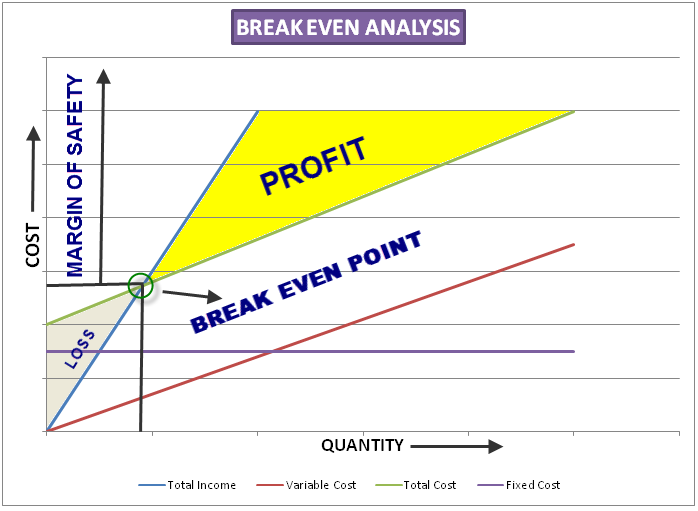 In simple, to determine the breakeven point, the analysis is carried out called break even analysis. It is the point at which the total cost and total revenue are equal; there is no loss or profit at this point. BEP is expressed in terms of units or revenue. The total amount spent by the firm is completely balanced by its revenue without any profit at BEP. Once the Total Income line intersects the Total Cost line, in the profit area, the angle between total cost line and total income line is known as Angle of Incidence. If the Angle of Incidence is large, it indicates that profit is made at higher rate. For a given period of time the cost which remains the same even if the volume of production changes or the cost which is independent of production volume for a given period of time up to certain volume. It does not mean fixed cost will never change. It is stable up to certain volume of production and certain period of time. Fixed cost is also called as indirect cost or overheads. e.g. machinery, rent, tax, insurance etc. 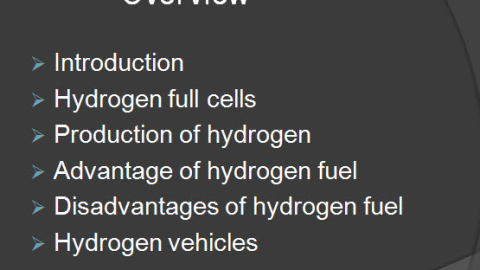 The costs which are directly vary with output volume. It is also called as direct cost. For example if the volume of production is to be increased, then more materials must be acquired for producing more items, thus variable cost is directly proportional to volume of production. e.g . Raw material, labor costs etc.